As a pediatric dental office, we strive to meet the unique needs of children. We are committed to family-centered care for infants, children, adolescents and special needs patients. It is important for us to establish a good relationship with both patients and parents. We especially want our young patients to feel comfortable with our doctors and staff in our office setting. Early regular visits to the pediatric dentist will build a trust that will help young children prepare for a lifetime of good dental check-ups. As the parent you are welcome to accompany your child into the treatment area. You are a vital member of our team. You know your child and what will work best for them. 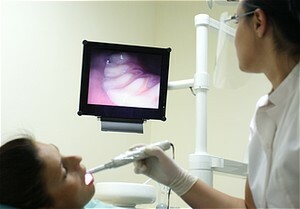 Depending on the situation, we may ask that you allow your child to accompany our staff through the dental experience. We are all highly experienced in helping children overcome anxiety. Separation anxiety is not uncommon in children, so please try not to be concerned if your child exhibits some negative behavior. This is normal and will soon diminish. Studies and experience have shown that most children over the age of 3 react more positively when permitted to experience the dental visit on their own and in an environment designed for children. Expect your child to do well and enjoy their visit to our office and chances are they will do just that! We make a concerted effort to make your visit as enjoyable as possible. Our goal is to provide a great appointment experience with outstanding service. Our doctors and staff maintain the highest standards in pediatric dental care. If you have any questions or concerns, please do not hesitate to ask us.